What is a US senator to do after the NYC terrorist attack? What indeed. What did our government know about Manafort and when did they know it? The Trump administration has pointed to non-tariff barriers imposed by the People’s Republic of China ( “the PRC”), the PRC’s blind eye to theft of intellectual property, and other “fairness factors” as reasons to consider sanctions. However, there are other reasons, and those other reasons are just as important to your daily life. When the US imports more than it exports, more dollars go overseas than come in. Those dollars don’t just stay in a savings account, or as stacks of bills in a bank vault. In the case of the PRC, those trade deficit dollars have been used for a variety of things, including buying homes in Western countries. According to the National Association of Realtors, PRC citizens are now the largest group of foreign home buyers in the US are now Chinese (14% of buyers). Affluent PRC citizens don’t necessarily think there is a future for themselves or their children in the PRC. They don’t trust their own government to respect their property rights, and the demographic forecast is bleak with an aging and declining population. If you can only have one, then green is good and red is bad. 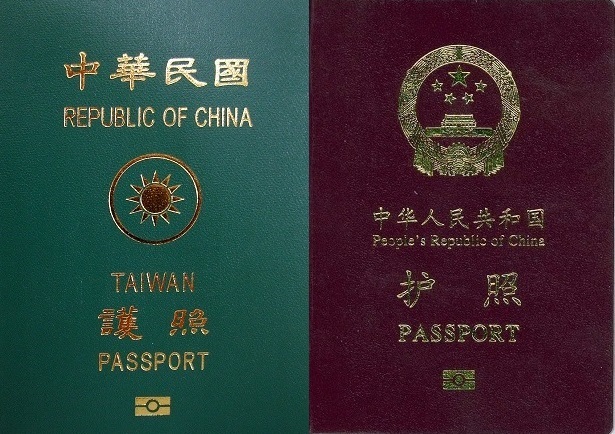 That is why most affluent people in the PRC want to have dual nationality, where that second passport preferably is from a first-world English speaking country. PRC citizens aren’t just buying in the US, they are also buying residential real estate in Canada, Australia, New Zealand, the UK and all over the EU. Add increasing restrictions on home building in all of these countries and the result is that home prices are now totally disconnected from wages in most major real estate markets. Higher home prices coupled with stagnant wages present a political problem for elected officials in the West. Their serfs might get restless and decide to elect different leaders. Or worse. Meanwhile, US imports with so-called “2nd tier” Southeast Asian countries have increased sharply this century. US imports from Vietnam have increased 76-fold (!) this century . 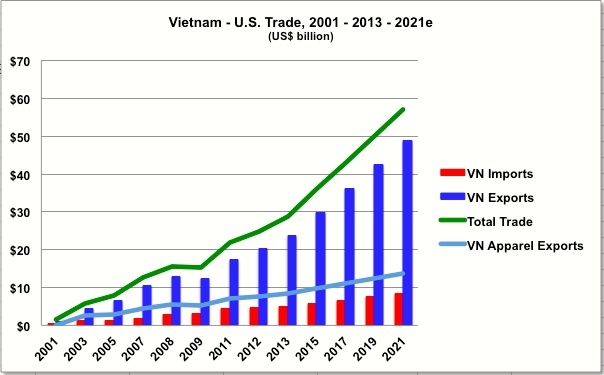 The chart below was produced in 2013 and turned out to be pessimistic because Vietnamese exports to the US will surpass $50 billion already in 2018. Suffice it to say the recent visit to Vietnam by a US aircraft carrier for the first time since the Vietnam War, that visit was not a coincidence. Vietnam and other countries want those factory jobs that are now in the PRC because they’re better than the jobs they have now. US imports from the PRC will surpass $500 billion in 2018. However, the highest growth in imports is from 2nd tier Southeast Asian countries, not the PRC. Because the PRC exports four times as much to the US as they import, they do in fact have less leverage if words were to come to blows and tariffs actually be imposed. The PRC’s “targeting of Trump voters” in their recently announced tariffs may also backfire and be viewed as inappropriate foreign interference in the opinion formation process of a free country. It is exactly the kind of thing you would expect a one-party state to be tone deaf about. Take these two major rends together, PRC citizens driving up home price and sharply increasing exports from 2nd tier countries, and you can see why now is an opportune time to press the issue. No one in the West wants a trade war, but on the other hand: the current trade situation can’t continue.